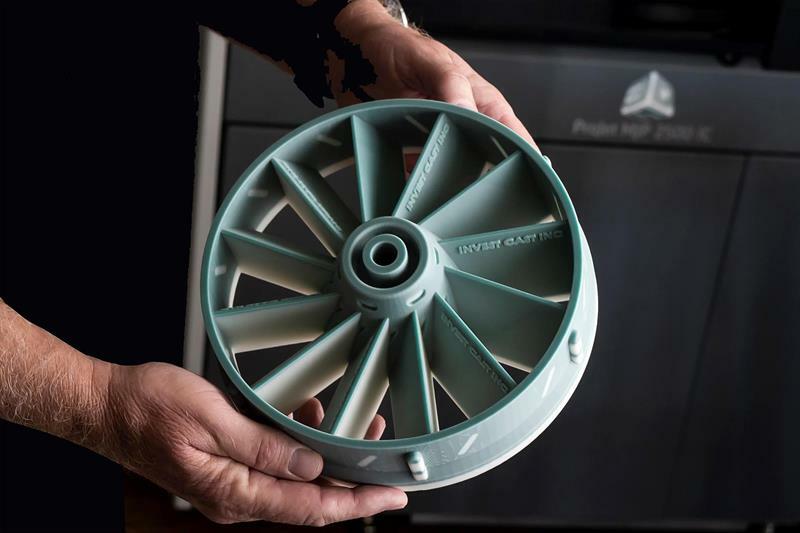 3D Systems’ newly developed ProJet MJP 2500 IC 3D printer for investment casting professionals is said to produce wax patterns in a fraction of the time and cost required by traditional pattern production. 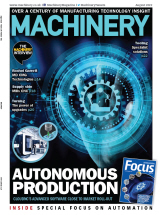 The company’s digital foundry solution is designed to transform a centuries-old manufacturing process – enabling significant time and cost savings, and creating new possibilities for the types of parts that can be cast. The typical production time for a 3D-printed wax pattern using the ProJet MJP 2500 IC is a few hours or less; no time or money is wasted on an injection moulding process for traditional pattern tools. In a cost comparison analysis conducted by Mueller Additive Manufacturing Solutions, a traditional pattern tool for a mechanical cam cost $6,050 while the 3D-printed equivalent pattern cost less than $25, with the only lead time being the short process to print the pattern. 3D Systems’ ProJet MJP 2500 IC is well suited to span production needs, from the iterative, initial design phase, to low-volume production. Using in a digital workflow provides complete design freedom, enabling wax patterns to benefit from topology optimisation, lightweighting and part consolidation. Design files are prepared for 3D printing and managed with 3D Sprint software. The patterns are produced in VisiJet M2 ICast, 100% wax material which delivers the same melt and burn-out characteristics of standard casting waxes, and fits into existing foundry protocols.